Add the impact of color to your next newspaper or circular insert. 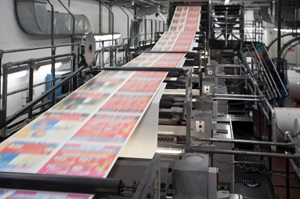 We offer high-quality, full-color broadsheet insert printing—including folding and trimming—at competitive pricing and with quick turnaround times. Order your full-color insert today!